Welcome to the July edition of the Altium OnTrack Newsletter! In Rock Stars and Superheroes, we talk with veteran PCB Designer Bill Brooks, who has been designing boards since 1969. In Next Gen Designers, we introduce you to the WARR Hyperloop team from the Technical University of Munich, who won the SpaceX Hyperloop Pod Competition II in 2017, and broke the world record as well! In the OnTrack video series, Ben Jordan teaches part three of his multi-board series, this time focusing on signal and power integrity issues. Lastly, we have fresh Brain Food. Bill Brooks started designing and making circuit boards as a young teen in his father’s circuit board operation that was based in their garage. 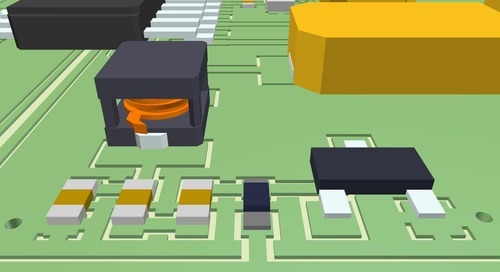 Since then he has continued to grow in skill and sophistication as a professional PCB designer. Over the years he has contributed to the industry through volunteering for the IPC Designer Council and teaching design courses at a college in his hometown of San Diego. Enjoy reading about this PCB design veteran. How would you like to spend some time rubbing elbows with Elon Musk? Last summer the WARR Hyperloop team from the Technical University of Munich did just that! 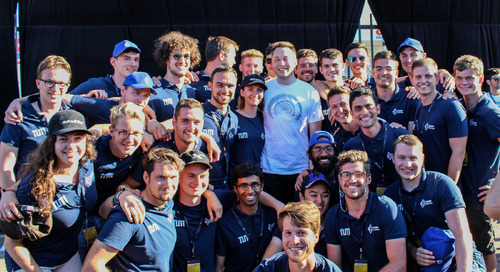 Not only did they take first place in the annual international competition at SpaceX headquarters, they also broke the world pod speed record and had a chance to hang out with Elon. In this interview with team lead Martin Riedel, we talk about the team, what gave them the competitive edge last year, and what features have been added to their new pod. Ben Jordan goes to the whiteboard once again to share some insights on multi-board design and the ensuing signal and power integrity issues that can arise.